December already, huh? This year has flown by and it’s really been all about the interactivity. Interactive this, interactive that. Interactive infographic. That’s right. I said it. INTERACTIVE infographic. Remember when infographics first became all the rage? Everyone was doing it. And then came the flood. Thousands and thousands of infographics started popping up for anything and everything. Don’t get me wrong. Straight to the point, visually appealing, and full of knowledge? Sounds like my vision of the perfect man, so count me in on the web’s version of GQ’s Hottest Man Alive (thank you, Chris Hemsworth). But then they got boring. As static content does. Over. And over. And over again. So now what? Make it interactive. In terms of GQ, make him a good cook as well. Introducing the Quick Start of the Week: the Interactive Infographic. Straight to the point? Check! Keeps visitors engaged and interested? Check and check! Interactive infographics work well early in the customer journey (or nearer the top of the funnel, for those of you so inclined). They’re especially effective at generating social shares—spreading virally like wildfire. They get people engaged and move them to the next stage of your message and content. 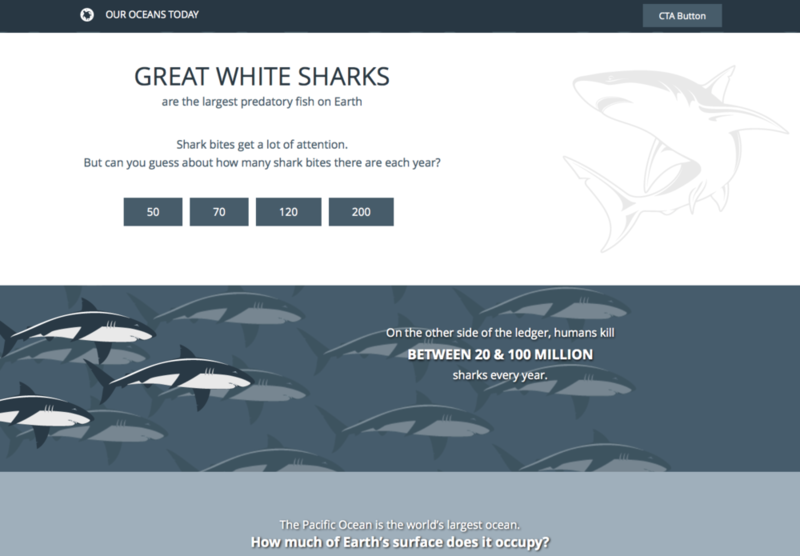 This interactive infographic Quick Start is an excellent way to transform static content into an interactive experience by using a unique, visually-driven page with plenty of interactive elements. Why not engage your visitors while providing them with interesting information? The experience walks visitors through vivid imagery and animations to reveal information along with options to participate in micro quizzes. It’s a useful way to transform a static piece of content into a memorable, shareable experience for your online visitors. So check it out for yourself. 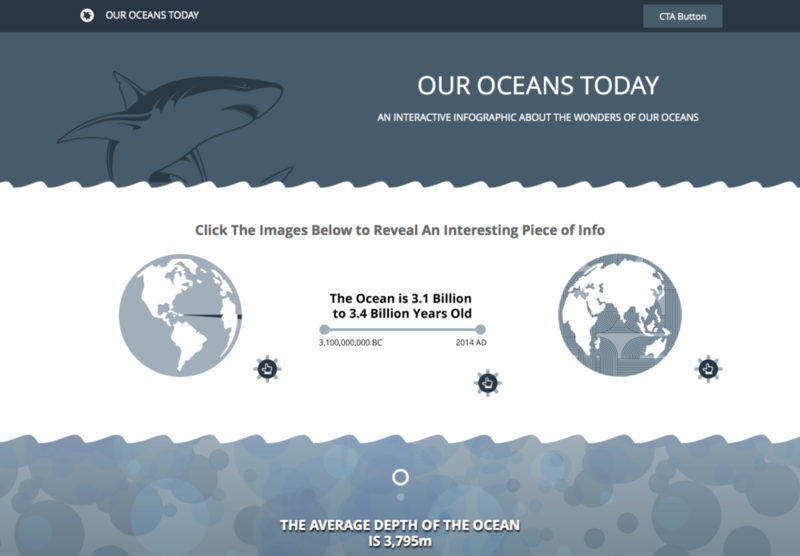 Explore the interactive infographic and see how you can better engage your visitors. Are you one of our awesome customers? Feel free to start using this Quick Start today and reach out to your customer success manager with any questions. One of our “future” customers? (wink wink) See what you can do with your static content and be inspired to sprinkle some interactivity into your brand’s online presence. Remember, marketers brand, personalize and launch Quick Starts without developers. They’re agile and new ones are added to our Quick Start Cloud constantly. Learn more about Quick Starts. Older PostWhich ionian Grows the Best Stache? You Choose. Vote Now!